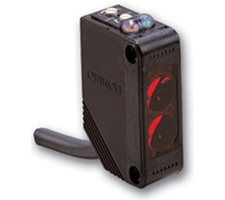 Omron Automation is an industrial automation partner that creates, sells, and services fully integrated automation solutions that include robotics, sensing, motion, logic, safety, and more. These systems serve manufacturers in the automotive, semiconductor, food and beverage, and packaging industries, among others. Established in 1933, Omron helps businesses worldwide creatively solve problems. 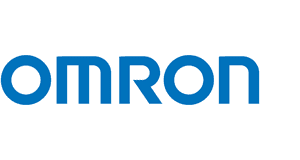 Omron employs more than 37,000 employees in 36 countries. 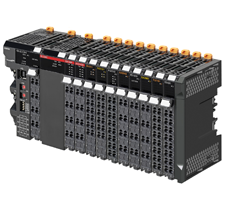 Scalable machine controller for logic sequence and motion control that includes options for advanced functions such as robotics and database connection. 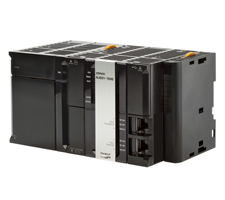 A range of modular designed units that integrate standard I/O, safety, and connect to the EtherNet/IP network via Communication Coupler Units. Compact general purpose photoelectric sensor. The E3Z features Through-beam Models (distance of 30 m), Retro-reflective Models (distance of 4 m), and Diffuse-reflective Models (distance of 1 m).